Solutions for optimizing your steel fabrication process. In our vision, all important processes of every steel fabrication and steel construction company must be supported with next generation software. Achieve substantial efficiency and quality improvements, no matter the size of your company. Discover the possibilities and benefits of the world’s most complete software solution. Optimize your primary and secondary steel fabrication processes and request a demo today. 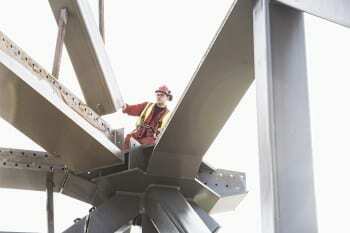 ConstruSteel provides solutions per process for steel fabricators. A more efficient steel fabrication process with less failure costs. Optimize beams and plates to reduce waste of material. Generate scribing lines / layout marking on steel profiles and plates. Automatically store data for e.g. activity, duration, related project and assembly in ConstruSteel. Full control over the material flow from purchasing to the final assembly and erection. Control your CNC machines. ConstruSteel integrates with all machine suppliers using standard file formats. A demo of our solutions? Our specialists will be happy to visit you or demonstrate the possibilities of our steel fabrication software online.